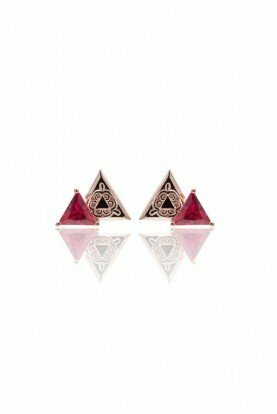 One of the must have romantic yet contemporary pair of pierced earrings crafted from traditional Kazakh ornaments. 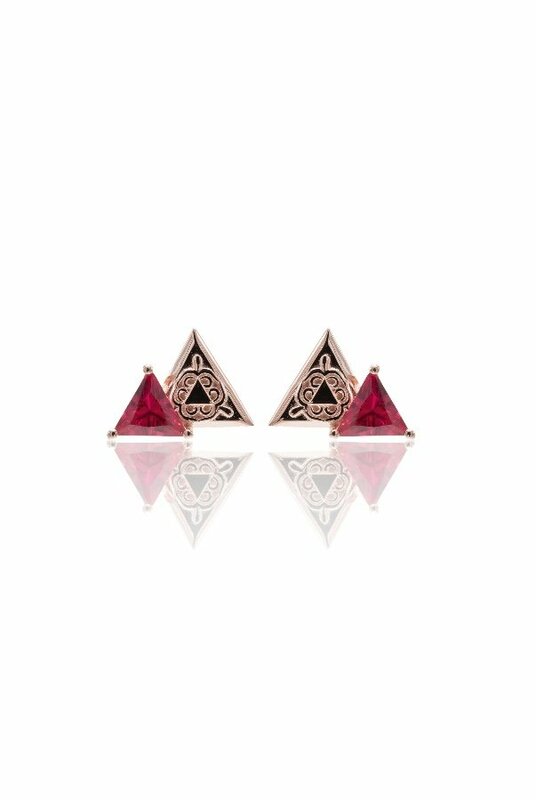 The triangular design is rendered in high-quality 0.5 micron rose gold plating and shines with red corundum. The earrings are also comes in pink cubic zirconia. 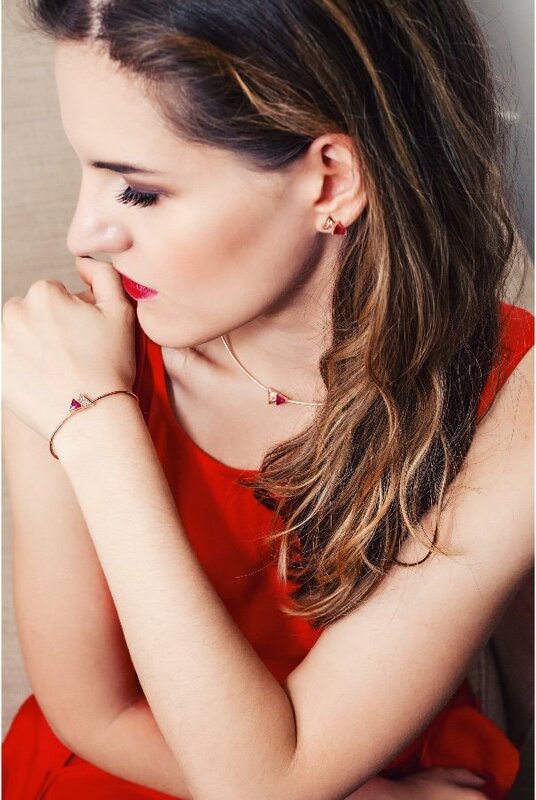 Finish the look with AYA necklace and AYA bracelet. A perfect gift idea.